These pecans are paradise for the mouth! 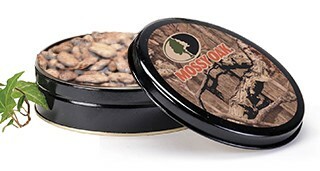 Try them today in our new Mossy Oak Break-Up Infinity Packaging! These pecans are coated in honey and baked to a delightful crunch! Try them today in our new Mossy Oak Break-Up Infinity Packaging! Spicy peanuts, sesame sticks, pretzels and more! Try them today in our new Mossy Oak Break-Up Infinity Packaging!